If you are reading this, you are likely living and breathing motorcycles. Which means you know that the essence of the motorcycle is the racer; no frills, lean and mean, made to win races. That’s Indian’s amazing Indian FTR750 that has been burning up American Flat Track events for a few years, made Jared Mees AFT champion in 2018. 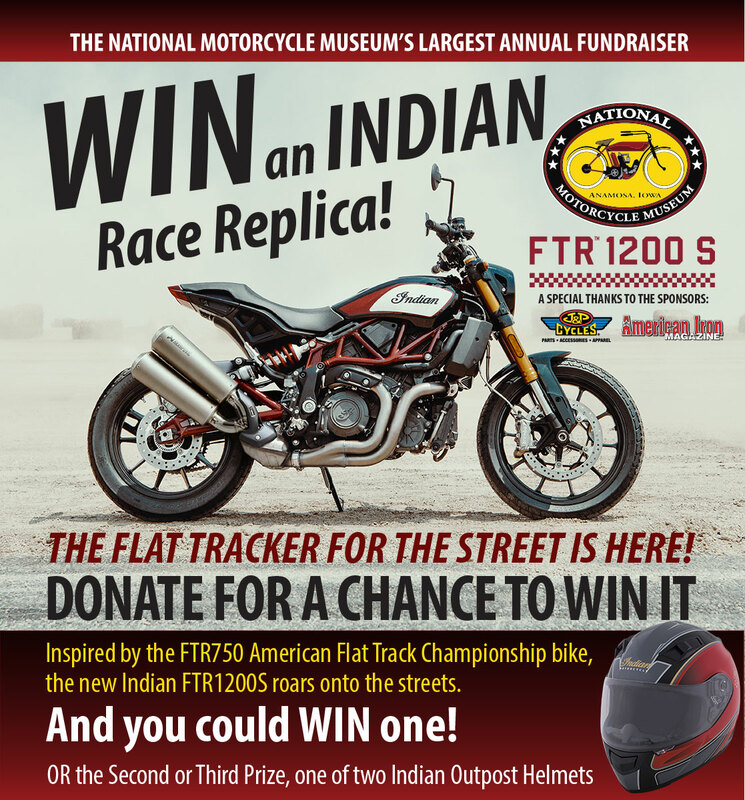 Now you could own a close relative, better yet WIN the mate to the amazing flat track racer, the soon to be released FTR1200R, in Race Replicatrim with monster 60MM throttle bodies! So why not donate to WIN one, and at the same time support the National Motorcycle Museum? The winner will be drawn December 31, 2019…and you could be the lucky winner! Download and print this form and mail it back to the National Motorcycle Museum or click on the button of your choice below for simple checkout. Click here for complete information and all RAFFLE RULES.